Turn the heat down and de-glaze with wine and lemon juice. 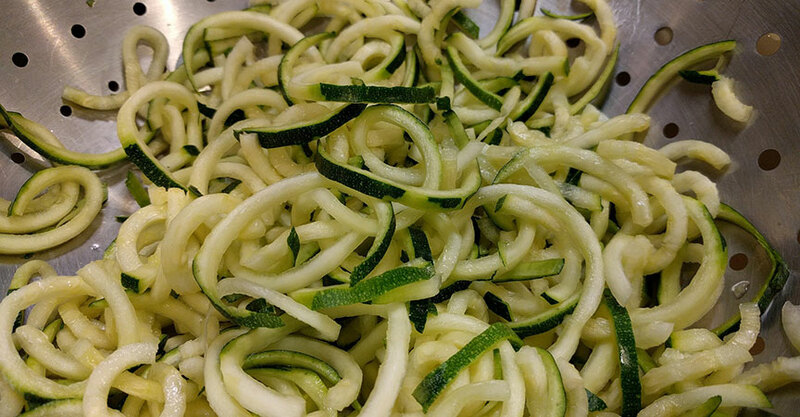 Toss the zucchini noodles in with tongs and coat with sauce. Bring to a simmer and wilt for 3 minutes. Season with salt and pepper to taste. Remove from heat and stir in lemon zest and parsley.